We have been asked by BBC Local radio to talk about World Heritage on the Georgey Spanswick show, which is broadcast as a national programme across England from 7pm tonight. 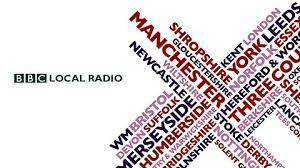 I will be interviewed for about 5 minutes from about 7.10 or 7.15. If you get a chance to listen please do let me know how it comes over with a comment on this blog. New heritage tour added to the WH:UK conference programme! The Shipley Glen Tramway volunteers have offered to open the Tramway up and run the trams specifically for conference delegates, along with an informative talk they will do at the start. 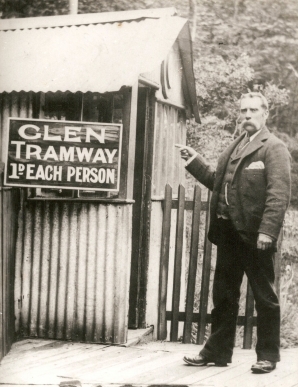 The award-winning Shipley Glen Cable Tramway is the oldest working cable tramway in Great Britain (cliff lifts excepted). Dating from 1895, the line was built to serve the local beauty spot of Shipley Glen near Saltaire in West Yorkshire. At nearly a quarter-mile in length, the woodland ride provides a pleasant alternative to the steep path. A short walk brings a Cafe within reach as well as the rocks and woods of Shipley Glen. The bottom station allows access to Roberts Park and the River Aire and the delights of Saltaire with Salt’s Mill and its famous Hockney Gallery. As well as rides on the open trams, there is a small souvenir shop at the top station, selling sweets. There is a nostalgic Edwardian shop at the bottom station. The museum at the bottom station displays photos and memorabilia of the tramway as well as Shipley Glen. There are interesting pictorial displays and memories of the tramway and Shipley Glen in days gone by. Tour A is an historical walking tour of the model village of Saltaire, taking in all the significant public buildings, housing and Listed Park. Led by knowledgeable residents who can also give an insight into what it’s like to live in a World Heritage Site. If you have specific access requirements please contact the Conference organiser to discuss. The tour will only be cancelled in the event of very inclement weather so bring a waterproof. 30 places(two groups of 15). Duration approximately 90 minutes. Tour B is a curatorial-led tour of the new Exhibition in Salts Mill ‘People and Process’. A creative and engaging exhibition which combines the history of the Mill with artistic responses to the exhibition theme and brings the history of Salts Mill up to the current day. Salts Mill is fully accessible. 30 places (two groups of 15). Duration approximately 60 minutes. Funded through Heritage Protection Commissions, and being managed by the Chartered Institute for Archaeology (CIfA), the Historic Environment Placements (HEPs) are supervised and trained by Historic England staff. The training placements are designed to meet specific and particular skills gaps identified through labour market intelligence, and use our in-house expertise to provide the necessary training and skills. CIfA and Historic England are partners in delivery and these training posts are now being recruited. The training placements are now being advertised and applications are open till 13th August.